As Wellesley’s only improvisational comedy group, Dead Serious takes pride in being Wellesley’s most prestigious improvisational comedy group. Dead Serious competed at the end of November in the New England Regional championships of CIT8, the eighth annual national College Improv Tournament. Twelve students represented Dead Serious and Wellesley: Hero Ashman ’16, Katie Barsotti ’15, Clara Bartlett ’16, Aly Brody ’16, Jabree Ellis ’17, Broti Gupta ’16, Abby Hess ’16, Hannah Levine ’15, Carlyn Lindstrom ’17, Adrienne Ogle ’15, Audrey Stevens ’17, and Claire Verbeck ’16. The format was a series of preliminary rounds during the day where each improv group performed a 20-minute set and was judged against three other groups. The judges were local professional improvisers from the well-established Boston Improv. The winners of the preliminary rounds then competed against each other in a final round later in the evening. Wellesley advanced to the finals by winning its preliminary round against groups from Boston College, Suffolk University, and Tufts University, and garnered a third-place finish in the finals. 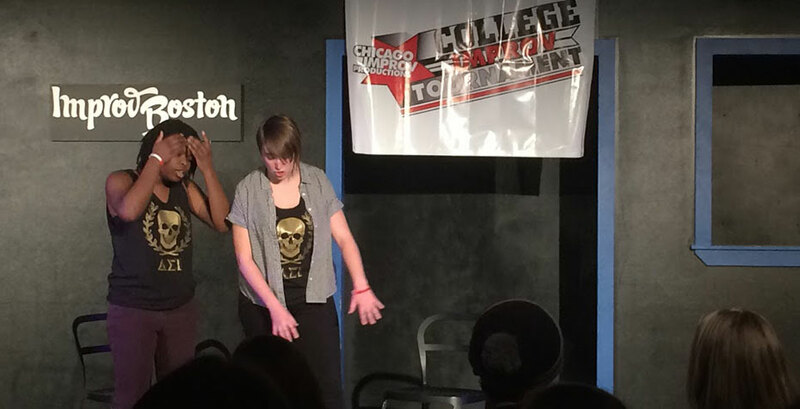 The recent competition marked Dead Serious’s first foray into the College Improv Tournament, but the group hopes to make it a tradition. Dead Serious's final show of the semester was on December 9, Levine reports, and featured a guest group of improvisers from Dartmouth College to help start off reading period with some laughs.